I’ve followed the work of various “folk” or “outsider” or “visionary” or “naïve” self-taught artists since college and remain eternally confused about what is the best and most inoffensive label to place on them. Of course, labels constantly evolve and what was respectful in one decade might be deemed offensive down the road. The Birmingham Museum of Art (BMA), in its current exhibition, “The Original Makers: Folk Art from the Cargo Collection,” lands on “makers” as the appropriate contemporary term. It makes perfect sense since the word “maker” has had a resurgence among artists and those who apply hands-on skills. The term does not delineate between level of skill and training and place. Picasso, after all, was a “maker,” as are all of the artists in this compelling show. 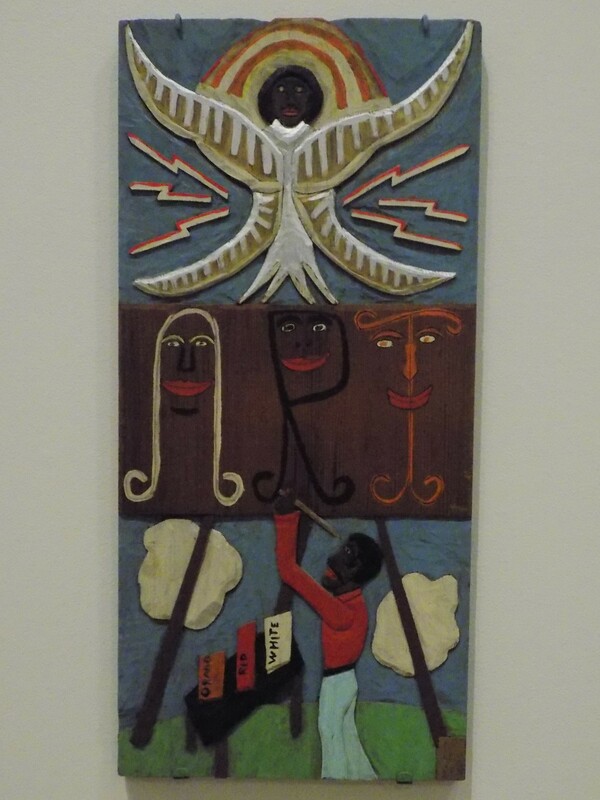 I wrote about my connection to Helen and Robert Cargo when BMA presented an exhibit of their collection of Haitian vodou flags in 2016 (“Communion: Haitian Vodou Flags at the Birmingham Museum of Art”). They were my neighbors and landlords during part of my graduate school years in Tuscaloosa. Dr. Robert Cargo taught French literature in the Department of Romance Languages and Classics at Alabama. 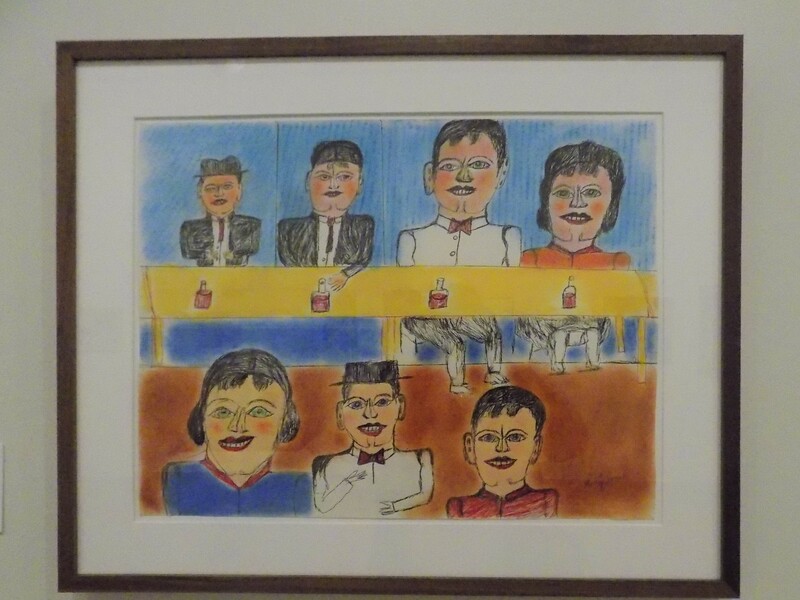 I was aware that they were collectors of art by various folk and outsider artists but did not realize the extent of their collection until they opened the Robert Cargo Folk Art Gallery in downtown Tuscaloosa in 1984. The Cargos have passed away but they made generous donations of their collection – in particular to the BMA – over the years. Their daughter, Caroline Cargo, has continued that generosity with substantial donations of the Cargo Collection – some of which are on view in the current Birmingham exhibition which will be up until the end of 2018. 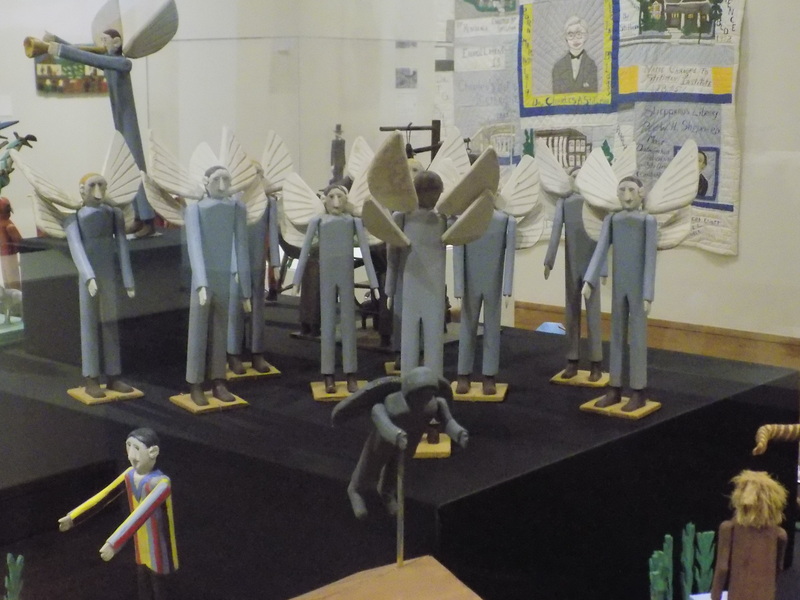 The exhibit is sumptuous and detailed – a comprehensive overview of the range of the makers on display. The Cargos were avid collectors of Southern quilts and the exhibition includes a quilt by Dr. Cargo’s great-grandmother, Mary Ann Rouse Thomas, which sparked a life-long interest in quilts and quilters. 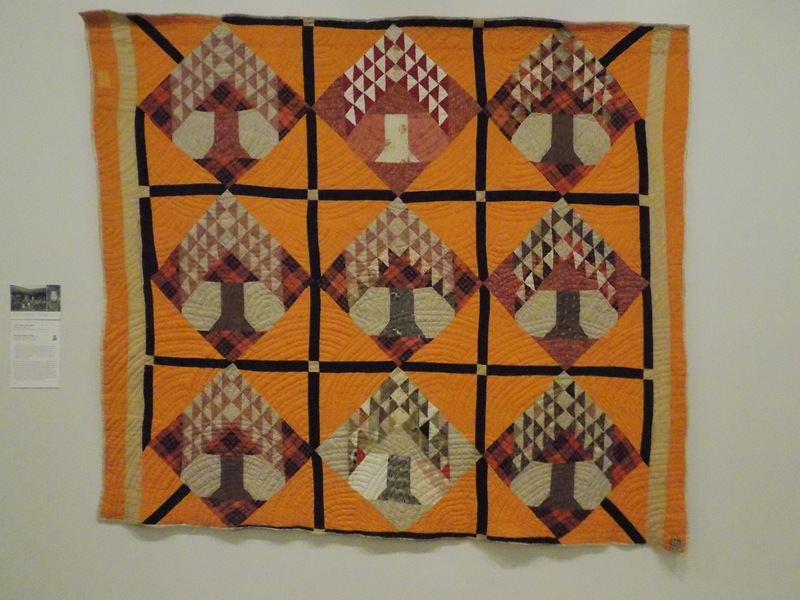 Quilts from many periods and styles are on display throughout the exhibition, including works by more contemporary quilters such as Nora Ezell, Mary Maxtion, and Yvonne Wells, as well as Joanna Pettway of the acclaimed Gee’s Bend quilters. 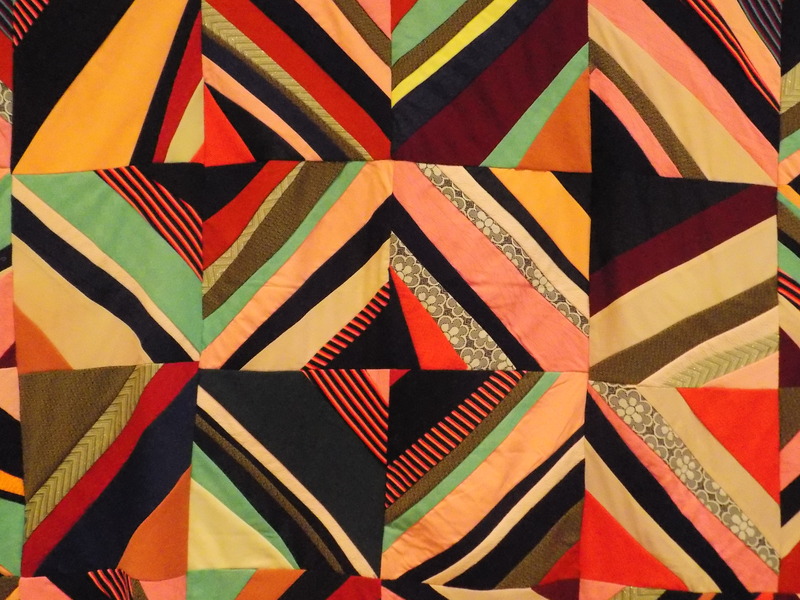 Some of the most stunning quilts are by unidentified makers. Dr. Cargo’s interest in male quilters is represented by a broken star patterned quilt by Afton Germany. Some of the makers in the exhibit are already well-known to me and others are new or lesser-known. Charlie Lucas, Jimmy Lee Suddeth, and Mose “Mose T” Tolliver are familiar to anyone with more than a passing interest in Alabama makers. Suddeth famously made the majority of his paints from various muds and clays and I was particularly moved by a painting of his wife, Ethel, done in the year she died. Among the artists who are new to me is Kentuckian Denzil Goodpaster, whose charming wood carvings include an image of Dolly Parton performing as well as a trio of cheerleaders. The smiling faces of the people and the stoic faces of the various animals are memorable in the works of Shields Landon “S.L.” Jones, while the subtly rendered ethereal paintings of faces, flora, and fauna on brown paper bags by Sybil Gibson are haunting. I passed these images quickly during my visit to the museum but found myself thinking about them later and wanting to look at them again. Fortunately, the exhibition catalogue, available in the museum gift shop, makes that possible. Chuckie Williams’s two-sided paintings of pop culture icons are bold, vivid, and good-natured. While Williams was recovering from an emotional breakdown, he felt called by Jesus to paint. It was particularly exciting to discover the autobiographical six-panel “Story of My Life” by Leroy Almon Sr., including images of houses and places he lived, jobs that he worked, and his calling to pursue art. Almon became an ordained minister (as well as a police dispatcher) in the final years of his life. Starting with an interest in the divinely inspired works of visionary artists Sister Gertrude Morgan and Howard Finster and the evolution of W.C. Rice’s stark and foreboding installation, “Cross Garden,” near Prattville, Alabama, I have been fascinated with the many outsider makers who have felt called by God to create their art. In the Cargo exhibit, a centerpiece is the visionary work of Rev. Benjamin Franklin “B.F.” Perkins. 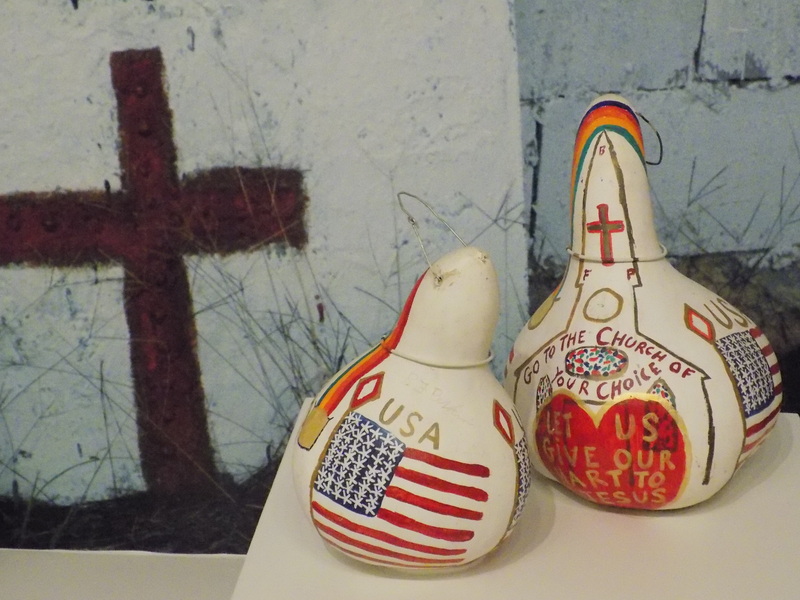 Perkins’s colorful and inventive art is showcased in an installation of his painting on a variety of media – birdhouses, gourds, text tracts on wooden boards. Rev. Perkins felt divinely inspired to spread the Gospel through his individual works and installations and the bulk of works in that area of the exhibition are devoted to art that is specifically religious in nature. Also of interest, however, are the inclusion of Perkins images and paintings prompted by his fascination with American patriotism, the history of time and the calendar, and the contents of King Tuthankamun’s tomb. Artist Fred Webster is represented by a series of cases filled with works inspired by biblical stories from the old and new testaments. The carved images cover a wide span of biblical events along with more fanciful images of a choir of angels and a band of devils. Webster’s more secular subject matter includes images of Abraham Lincoln, George Washington chopping down the cherry tree, and George Wallace delivering an address from his wheelchair. A collection of busts of Coach Paul “Bear” Bryant, along with a full-body carving take up about half of a display case. Theologian Paul Tillich wrote, in essence, that there is no faith without doubt but there is a part of me that envies the blind faith of these makers, many of whom followed a divine inspiration without falter or question. This entry was posted in Cargo Collection at Birmingham Museum of Art and tagged Alabama art and artists, Alabama quilters, Birmingham Alabama, Birmingham Museum of Art, Caroline Cargo, folk art, Fred Webster, Helen and Robert Cargo, Jimmy Lee Suddeth, Leroy Almon Sr., Mary Ann Rouse Thomas, Moses Tolliver artist, Rev. B.F. Perkins, Shields Landon "S.L." 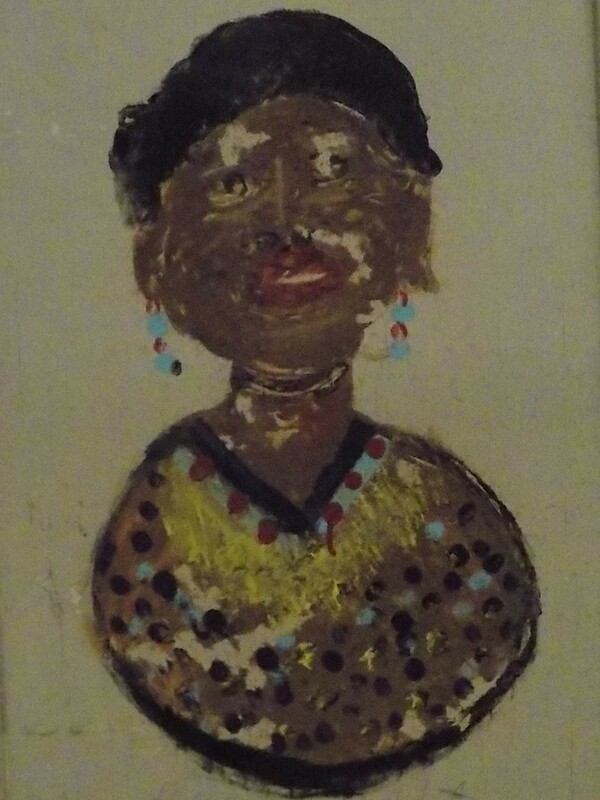 Jones, Sybil Gibson, The Original Makers: Folk Art from the Cargo Collection on July 12, 2018 by gedwardjourney.